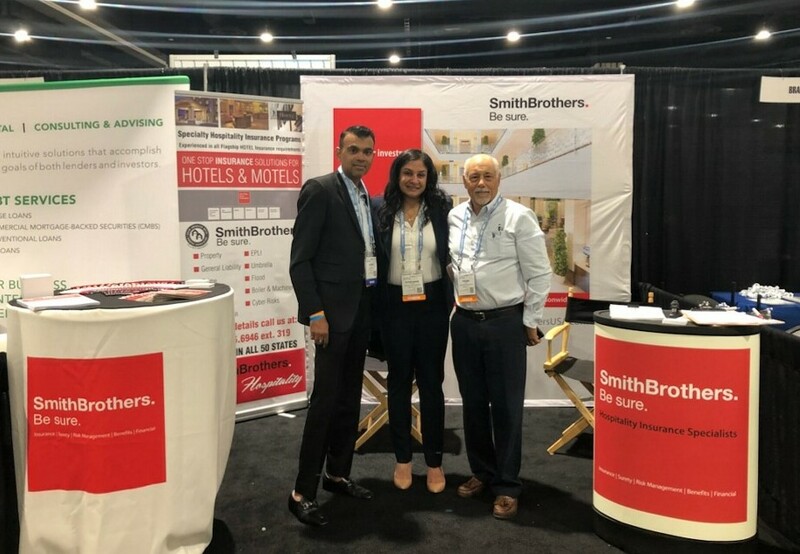 Members of Smith Brothers Insurance Hospitality Team (Anand Patel, Frank Zurlo, and myself) attended the Asian American Hotel Owners Association annual national convention and trade show of 2018. This year the events took place at Gaylord National Resort & Conference Center in National Harbor, MD/ Washington DC starting on March 27 through the 30th. The convention had a record breaking attendance of over 6,500 people. AAHOA is the largest hotel owner’s association in the world with more than 17,700 members. The convention was my first and my mind was blown at the vast number of attendees. This was a great opportunity to meet current and potential new clients and contacts who visited our booth. During the trade show there were sessions on business, policy, educational and inspirational guest speakers including Jimmy Johnson, Former Coach of Dallas Cowboys and the Miami Dolphins, and Linda McMahon, Administrator, U.S. Small Business Administration (SBA). I was fortunate enough to attend the Women Hoteliers Session, where Vinay Kumar, Leadership Coach, Author of “Leading for Breakthroughs,” gave an interactive session on leadership: “The Secret to Winning.” Vinay Kumar, spoke about the formula for success and gave valuable insights on getting ahead and separating yourself from the competition. I am grateful for the opportunity to meet not only hoteliers, but financial institutions and ancillary hotel vendors. I am looking forward to next year’s conference in San Diego, CA as well as more of the regional events in the near future.